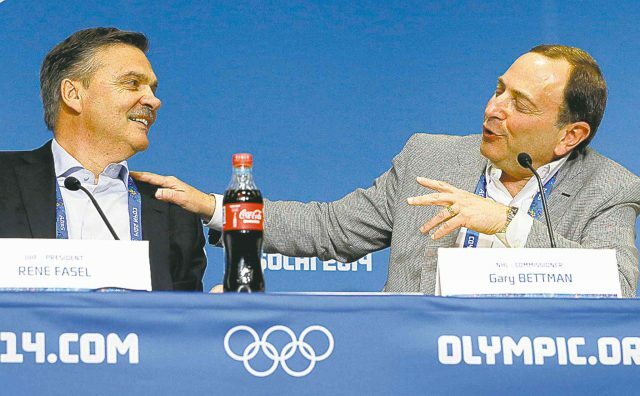 International Ice Hockey Federation (IIHF) President René Fasel has admitted it would take a “miracle” for any late deal to be reached to bring about National Hockey League (NHL) participation at next year’s Winter Olympic Games – although the door “remains open”. The IIHF, though, will fully embrace anybody who wishes to play from the world’s largest league, he promised. “It would take a miracle, maybe [for the NHL to fully participate],” Fasel told insidethegames during the IOC Coordination Commission inspection visit here. “But I think the decision was done the NHLPA and NHL, so I think it would take something really special to happen. “All the NHL players who would like to participate so they have to be on the long list from October 1, concerning World Anti-Doping Agency testing etc. “The NHLPA and the NHL have to find a way. “Actually the [NHL] PA is looking into if this is possible, on the legal side. “The League decision is the owners’ decision, so there are some legal questions to find out over if the players are allowed to come or not. “[NHL Commissioner] Gary Bettman said quite clearly no [no players will attend]. “I don’t know the rules; but, for sure, the door is open. Even then, many believed Bettman’s position was negotiating stance rather than a final position. The Pyeongchang 2018 and IOC stance appears to remain “wait and see” over whether they will ultimately compete. “We’ll hope I’ll be allowed to participate,” he told Sport-Express. Russia’s Evgeni Malkin, who plays for the Pittsburgh Penguins, made a similar call last month. Fasel insisted, though, that the absence of many of the sport’s biggest male names will not detract for the spectacle. “It will be actually an even more competitive tournament,” he told insidethegames. “The last Games in Sochi were so good, but here nobody can really say who will win the medal. “It’s a very wide open tournament. “This is the good thing about it.